On behalf of the Samurai Archives, I’m pleased to be interviewing Samuel Hawley, author of The Imjin War: Japan’s Sixteenth Century Invasion of Korea and Attempt to Conquer China . Samuel Hawley spent 20 years living in Japan and then Korea, where he was an instructor at Yonsei University and a member of the governing council of the Korean branch of the Royal Asiatic Society. Like most of the membership of the Samurai Archives, Samuel Hawley is an amateur historian—which is what makes his The Imjin War and the amount of research that went into preparing the book that much more inspirational and endearing. 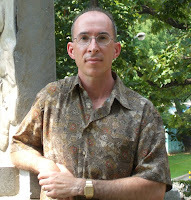 Hawley is now residing in Canada and has devoted himself to writing full-time. His other works include America’s Man in Korea: The Private Letters of George C. Foulk, 1884–1887, Inside the Hermit Kingdom: The 1884 Korea Travel Diary of George Clayton Foulk, Help Wanted: Korea and the forthcoming Speed Duel: The Inside Story of the Land Speed Record in the Sixties . At the time of the publication of this interview, The Imjin War is not available directly from Amazon.com, but can be ordered new from Han Books for US$72.17 by clicking on the following link. SA: Sam, it’s a pleasure to have you here with us for this interview. SH: Thanks for your interest in The Imjin War. It’s a pleasant surprise that there are still people out there who want to talk about it. SA: To start things off, when you were living in Japan, were you drawn to samurai and Japanese history? SH: During the time I lived in Japan (1988-1994), I was interested more generally in the culture than specifically in Japanese history. I loved things like sumo (especially hanging around heya), yakatabune (those pleasure boats that you dine on), tsuribori (urban fishing ponds) and spent many happy afternoons out taking photos and doing research for magazine articles. In Tokyo there are neat and quirky things to discover in just about every corner. I moved on to Seoul in 1995 and lived there until 2007. That’s where I wrote The Imjin War. It was actually a bit of a homecoming for me, for I’d grown up in Korea. I was born in Pusan in 1960 (my parents were missionaries), we moved to Seoul when I was about 2 and stayed there until I was 14. So my awareness of the Imjin War goes back a long way, back to when I was a kid in the ‘60s. I can remember my parents even had a model of Yi Sun-sin’s turtle ship in a glass case. SA: Prior to the publication of your book, not a whole lot about the Imjin War, better known as the Bunroku to Keichō no Eki in Japanese, was available in English. There were some writings by Geo. H. Jones at the turn of the 20th century, Stephen Turnbull’s Samurai Invasion and a couple of other publications about Admiral Yi and his turtle boats. In essence, this conflict is probably the true “forgotten Korean war” when it comes to exposure in the West. Why do you suppose that until Turnbull, you and Swope came onto the scene in the past 8 years or so, there hasn’t been much written about the Imjin War in the West? The first problem was the language barrier. When I was writing The Imjin War (I started in 1999), Turnbull’s Samurai Invasion wasn’t out (I already finished my book when I stumbled on it on Amazon.com) and neither was Choi Byonghyon’s Chingbirok translation. There was in fact very little material on the subject available in English. I ended up studying Korean to attain some basic reading skills, then went through umpteen volumes of Sonjo sillok and other Korean-language works with the help of a native Korean translator. I did that for two years—spending my own money on the translation help, by the way. It entailed a heck of a lot of work, more than most people would be willing to do for a payout of little more than personal satisfaction. I speaking of course of amateur historians such as myself, taking on a project like this on the side for personal enjoyment. It’s different for academics. For them, penning a scholarly tome can be the route to tenure and a pretty good living as a professor, so there’s an incentive. So why didn’t some history professor with much better language skills than me write a book on the Imjin War first? The reason, I think, is that the topic is too big, too wide-ranging for an academic to tackle. Academics tend to choose very narrow topics to specialize in (i.e. “The Impact of the Imjin War on Rice Production in Cholla Province”), then spend the rest of their careers protecting this little quarter-acre of ground. It’s the safe approach. I mean, once you become the foremost expert on Cholla rice production in the 1590s as it relates to the war, no one is going to be able to criticize your work, right? No one can “Swope” you. But if you try to write a book about the whole Imjin War, you’re going to be writing about rice in Cholla and a thousand other things. And since a single person can’t be the foremost authority on such a wide range of topics (Korean history, Japanese history, Chinese history, battle tactics, Korean/Chinese/Japanese court intrigues, East Asian diplomacy, battleship construction, etc., etc.) it means taking a big creative risk and courting criticism and maybe even falling flat on your face. SA: But in my eyes and the eyes of others, it was worth the risk. I thought the book was fantastic and many of us here at the SA learned a tremendous amount from it. But what made you want to write about this conflict? SH: My first idea actually had been to do a biography of Yi Sun-sin, for I thought I could improve on the two English-language works then in existence. That was in early 1999. When I realized there was no book in English on the Imjin War as a whole, I broadened my focus. It ended up being a far, far bigger job than I ever imagined. So why did I set out to write the book? Well, I wasn’t an academic trying to carve out a niche as a scholar, so the above concerns about taking risks didn’t mean anything to me. I did it because I wanted something intellectually challenging to do, and I wanted the satisfaction of writing a book. It was as simple as that. I’d like to point out here that I didn’t set out to write a scholarly book on the Imjin War, because I didn’t—and I still don’t—consider myself an expert on anything. My objective was just to tell the amazing story of this war, which hadn’t been fully told before in English and which scarcely anyone in the West knew about. (Again, I finished writing the book in 2003, the year Turnbull’s Samurai Invasion came out, and long before Swope.) The book, you’ll note, is narrative history, not a dissertation. In other words, its purpose is to “tell the story,” not to advance any particular core thesis. That it ended up in the scholarly realm, which I hadn’t intended, was entirely due to the fact that it was the only way I could get it published. SA: You had mentioned in other correspondence that you had trouble finding a publisher for The Imjin War. Why do think this was the case? Was it because this topic is still considered controversial considering the sometimes cankerous triangular relationship that exists between China, Korea and Japan? After banging my head against that wall for a while, I started contacting university presses. That earned me a whole bunch of rejections. Nobody—nobody—would even look at the manuscript. The problem here was obvious: I wasn’t a history professor, but just an English teacher. And I didn’t have a PhD, just an MA. (In history from Queen’s University in Kingston, Ontario, by the way.) It was very much a case of judging a book by the author’s CV. The fact that The Imjin War was published at all was due to a series of lucky breaks combined with my own hustling. The only outfit to express any interest in the book had been the Royal Asiatic Society of Korea. They couldn’t publish it, though, because they didn’t have the money. What they did do was invite me to speak before the Society on the topic (in Nov. 2003, I think it was). In the audience was Yoo Kang-ha, secretary of the So-ae Memorial Foundation, a part of Poongsan Corporation. (So-ae was the nom de plume of Yu Song-nyong, Korean prime minister during the Imjin War. The chairman of Poongsan Corp. is a direct descendent of So-ae.) Anyway, I ended up receiving a publishing grant from Poongsan for The Imjin War. (Note: this financial backing did not color how I wrote the book. It was already written by this point.) This grant was enough to cover roughly half the cost of publication. By this time the RAS had invited me to join their governing council and elected me publications chairman. The first book I shepherded through the press for them was Elizabeth Underwood’s Challenged Identities, which the RAS fully funded. I then showed them how we could publish my book, The Imjin War, without it costing the RAS a penny, funding it with the Poongsan grant and money out of my own pocket. The council liked the idea. I then approached the Institute of East Asian Studies Press at UC Berkeley, which had previously turned the book down, and offered them a co-publication deal that would similarly not cost them a cent. They liked the idea and signed on and took editorial oversight of the project. I then did all the grunt work myself: I did the camera-ready copy, I made the maps, I designed the cover, I made the index, I liaised with the printer, and I provided all the money, the Poongsan grant plus my own dough, a total of around $11,000. After all this, I declined to use the RAS’s standard publishing contract, as I felt this would be grossly unfair to me. I instead drafted a contract myself whereby I received the lion’s share of the profits and retained full rights to the book. This was okay with the RAS because they ended up making a tidy sum of money without having to invest anything or take any risk. The Imjin War eventually sold out its first print run of 2,000 copies, and is now on its second printing. Pretty paltry sales, but not too bad considering that the book received absolutely no marketing or publicity. I still retain full rights to the book, and I am free to republish it in any way I see fit. SA: Well, we hope to see it back in print and marketed properly so it can reach a larger audience. But let’s get into some questions regarding the origin of the conflict itself. You touched upon some of the theories in your book, but why do you think Hideyoshi ordered the invasion of Korea? SH: With something as big as the invasion of Korea, there had to have been multiple factors at work. In my book I discuss, I think, five of them. I don’t think it was a case of, “One of these five factors might have motivated Hideyoshi.” I suspect several driving factors were at work. Hideyoshi, after all, was a supreme strategist; he would have been thinking on several levels, weighing advantages and disadvantages. To say “Hideyoshi invaded Korea for this reason” is to frame the thing too simply. Hideyoshi wasn’t playing checkers. He was playing chess. Let me just insert here that The Imjin War is the distillation of my understanding of the topic as of 2003, when I finished writing it. I’m answering these questions now without referring to the book, as I don’t want to just rehash what I’ve already written and what I was thinking back then. Because of the passage of time, and because I’ve moved on to other topics, what I answer here may vary from what I wrote in the book. I may even contradict myself. But hey, so what? As we go on we learn new things and adjust our previous conceptions. So be warned that I’m just throwing musings out there; that these musings might stray from what I wrote in The Imjin War—and that anything I wrote then and say now could be dead wrong. SA: Kenneth Swope, in his new book A Dragon’s Head and a Serpent’s Tail, refers to a theory that appeared in Samuel Dukhae Kim’s PhD dissertation that Hideyoshi initiated the war in order to weaken the power of the Kyushu-based Christian daimyo as Hideyoshi wanted to eradicate Christianity in Japan. How much stock do you put in Kim’s theory? Do you think it is plausible? SH: I guess it’s plausible, another possible motivating factor to add to the mix. But I wouldn’t give it too much weight, and I certainly wouldn’t say it was the reason. To begin with, using Kyushu-based forces for the invasion made perfect sense because these forces were the closest to Korea. It was also in line with the pattern of conquest that Hideyoshi had already established in his unification of Japan: using the forces nearest the target to spearhead the conquest of that target. Again, Hideyoshi in his strategizing and long-term planning would have been considering several factors. Weakening the Kyushu-based Christian daimyo may have been one of the things he placed on the scales. Or maybe it was just an unplanned benefit of the expediency of using Kyushu-based forces. SA: What was the ultimate reason, in your opinion, for Korea’s utter lack of preparation for the invasion? Did they really think that Japanese talk of invading China via Korea was mere bluster? SH: Even if the Koreans had managed to make better preparations, the Japanese likely would still have swept up the peninsula regardless. In other words, the Koreans were perhaps inherently incapable of resisting the power of Hideyoshi’s invasion force because of the way the country was set up. First, there was the fact that generals were kept separate from their armies except in times of crisis. This was considered necessary to prevent them from becoming too independently strong and possibly attempting a coup. The founder of the Choson dynasty, Yi Songgye, had been a general himself and had seized power, and he didn’t want another general doing the same to his new dynasty. Hence the expedient of separating generals from armies. It was definitely a stupid idea in terms of military preparedness in the face of an external threat. The fact remains, however, that the Choson dynasty lasted from 1392 on into the 20th century—so clearly it made sense in terms of internal stability. It was a case, in short, of sacrificing the ability to repel an external threat in order to guard against threats from within. It was a good trade-off most of the time—but a disaster in the face of the extraordinary threat posed by Hideyoshi. About the Koreans mistakenly regarding Hideyoshi’s threats as bluster: It’s hard to overstate the enormity of what Hideyoshi was proposing to do, at least in the eyes of the Koreans. It wasn’t just a case of one country threatening to conquer another. Hideyoshi was threatening to conquer, as the Koreans saw it, the center of the world. To put it in modern terms, it might have been like Chavez in Venezuela threatening to conquer the USA. Well, maybe not quite like that. But you see what I’m saying. The threat seems obvious to us now. But if we put ourselves back in that Korean court and try to look at things like a late-16th century Korean, it becomes easier to see how Hideyoshi’s threats could have been discounted as bluster. Another thing to consider is the innate inability of Korea’s Confucian scholar-led system to deal with the ruthless military efficiency of Japan. In Japan, the military had evolved for maximum effectiveness thanks to a century of civil war. There were no soft-palmed scholars getting in the way, no trappings or niceties to trip over. In Japan it was all about military efficiency. The same could not be said about Korea. As noted above, the Koreans in effect hobbled their military (separating generals from their armies) to guard against internal threats. Still more hobbling was effected by the Korean—and in turn Chinese—notion of the supremacy of a scholar class; the notion that mastery of the Confucian classics, as evidenced by passing the government exam, equipped a man to do just about anything—including things he knew little about, like overseeing armies. So you had this situation in Korea where military professionals were often being second-guessed by scholars who sometimes didn’t know what they were doing, but who assumed that they did because they knew the classics. SA: But based on Korea’s experience with previous devastating Japanese-led pirate (wako) raids, was the Korean court really naïve in thinking that the “robber-dwarves” posed no serious threat? SH: Naïve? I don’t know. In hindsight, they were certainly mistaken. But again, we should try to look at it from the Koreans’ perspective, considering their time, their mindset, and the information available to them. What Hideyoshi said he was going to do, march through Korea and conquer China, was really huge. It would have been easy, being a Korean and without the benefit of hindsight, to have discounted this as just a lot of hot air, an attempt to intimidate Korea. To put it in perspective, let’s draw a parallel to Iran today. President Dinner-Jacket threatens, “Do such-and-such or we will destroy Israel!” Or North Korea’s Dear Leader: “Cave in to my demands or you will feel my wrath!” Don’t we tend to brush aside such threats? And then something like 9-11 happens and everyone says, “Why were we so blind? Who dropped the ball? Who can we blame?” The moral: everything is clear in hindsight. SA: Considering it was the ineptitude of the royal court and partisan politics that led to Korea’s ill-preparedness for the invasion, why do you suppose that the Korean people stuck with King Sonjo and the Choson Dynasty after the cessation of hostilities? One would think that there would have been enough popular discontent and anger with the government and the sovereign’s failure to protect his people would have led to a serious revolt. Yes? SH: Sonjo was acutely aware of the discontent among his subjects. It was Koreans, after all, not the Japanese, who burned a lot of Seoul in May 1592. So Sonjo knew he was balancing on the edge of a razor. When things were at their worst he even flirted with the idea of crossing the Yalu River and leaving Korea, which would have amounted to abdication. One very important service the Ming Chinese did in sending armed forces to Korea was to put some heart back into Sonjo, who was in despair. Another important service was that they propped up his throne and in turn the Choson dynasty. I don’t know how close the dynasty came to falling during and immediately after the war, but it was obviously teetering. Even if the Japanese had eventually worn themselves out in northern Korean and withdrawn without Ming interference, the lack of a Ming presence in Korea might very well have ensured the dynasty’s collapse. To be continued. The second part of this interview will be posted on April 28. Excellent part one interview. Look forward to part two. I like Hawley's comment "no one can 'Swope' you". Classic. I'm reading the book now, the final 2 chapters remain. What an awesome story! Although I am a committed Japanophile, I knew beforehand that the Japanese were involved in atrocities during this war but *I had no idea. * Wow. The second invasion, in particular, seems awfully close to genocide. So many poignant stories! And the East-West Confucian factionalism among the Koreans, even in the face of national annihilation, absolutely stuns me. They imprisoned Yi Sun Sin, for crying out loud! What an unbelievable story. Thank you Mr. Hawley for telling this story in English! What happened to part two? Still not posted. Uh, it's the next post.